Lahore: As part of Sprite’s Spicy campaign #MirchiKoSpriteKar, Sprite launched Sprite Spice Wars, which truly captured the imagination of the Pakistani youth. The campaign aimed to empower, promote and support young entrepreneurs who exhibited extraordinary culinary skills and dreamed of venturing into the booming restaurant industry. The competition had a reach of almost 8 million people on social media and over 7,000 students registered for it. Moreover, the winning team was given funding to help them set up their proposed food startup. The grand finale of the event took place at FAST University, Lahore. From the various universities that showcased their talent only four teams from CBM, SZABIST, LUMS and FAST made it to the finals after a round of extremely competitive intra-college cook-offs. 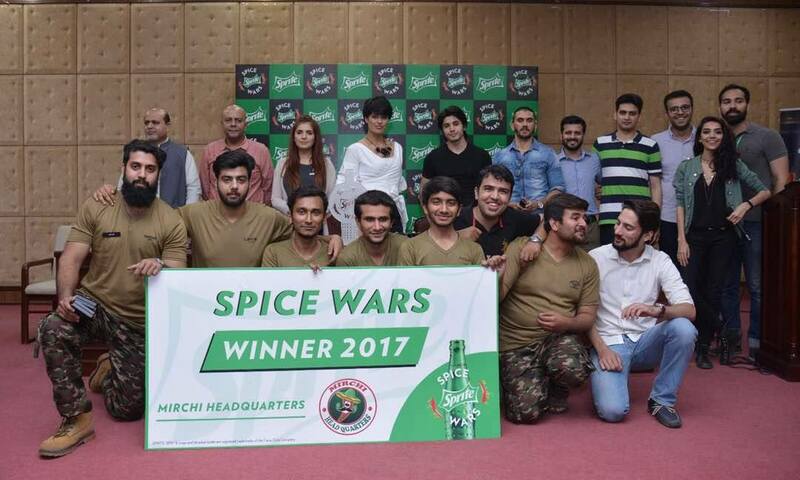 A panel of judges comprising Momina Mustehsan (singer), Misha Rehman (renowned food consultant), and Afrin Hussain (owner of Grill n Bake) judged the competition and declared ‘Mirchi Head Quarters’ from FAST winners of the competition. Mr. Saad Pall, Senior Brand Manager Sprite, spoke about how the event was designed to enable young entrepreneurs to cut-through and make an authentic impact in their lives. He further went on to say that the competition was designed keeping in mind Pakistanis’ love for food, and the youth’s desire to fulfil their ambitions.